This coverage is written on an “Occurrence Form” to give you lifetime protection for claims made against you. This coverage has also been extended to include “Owners Protective Professional Liability” and will insure the studio, its owners, employees, subcontractors and volunteers. Commercial General Liability is the most common form of liability and accounts for the majority of liability claims. Even if a client falls and is injured on the property that you rent you may be held accountable. To get a free quote, contact us today by email or by calling 800.265.2625 or answer yes to the question below and fill out the form and we’ll be happy to help you get the insurance you need. Thinking of opening your own Yoga studio? 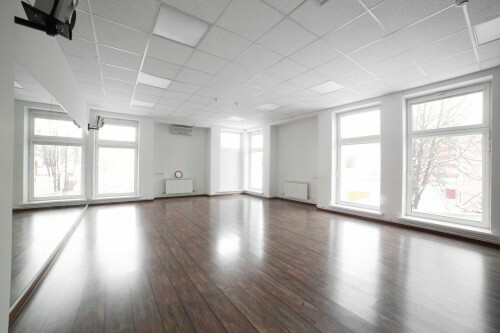 Wondering if your current Yoga studio insurance has the coverage you need? We know there are 100’s of factors to consider location, the number of classes and what styles to offer. We want Yoga studio insurance to be one of the most effortless parts of opening your business. Therefore, we have created one of the most comprehensive Yoga studio policies available, allowing you to feel protected and have peace of mind. Our policy is extremely comprehensive which is exactly what you need as a studio owner. We offer insurance for your Yoga studio at an affordable cost. Insuring over 500 studios has given us the industry expertise you need and allowed us to offer applicable insurance for your Yoga studio. Contact our expert staff who truly understand your operation and will help you understand your exposure from both a legal and property damage perspective. We work with you to create the most tailored and cost effective Yoga studio insurance policy available. We have countless solutions to create the best policy for your needs. Do you need Yoga studio insurance within the week? Not a problem. Our staff can get coverage in place within days. Not sure what your revenues are going to be? We can create a low cost Yoga studio insurance policy to get you started. Finally, do you know what coverages you need and don’t need? Our insurance policy for Yoga studios has all the coverages you need and those you have not considered. Business Interruption is a necessity. In the event of even the smallest fire, a studio could be shut down for days or weeks. This coverage will provide for your ongoing expenses as well as lost income. Contents and building losses can climb into the $1000’s for a small Yoga studio. Adequate coverage to protect your investment is essential. Program Extensions are well designed to add additional coverage to round out your program. Lackner McLennan is pleased to bring you an exclusive Professional Liability and Business Owners Insurance Program. We have been providing professional liability to alternative healthcare practitioners for over 20 years. We understand the importance of providing you with quality insurance at affordable prices. Are You Opening a New Yoga Studio? Look No Further! If you have been dreaming of having your own yoga studio, you might have been challenged by the various yoga studio insurance policies that are available today. Providing coverage that fulfills all the needs of your yoga studio is always our priority. Working with us you can sit back and relax while we take care of your insurance coverage for things such as your location, the style of the studio and the number of classes you have. Over the last two years, we have successfully insured 100 brand new yoga studios with 80% of our clients older than 3 years. Our main focus is to make getting yoga studio insurance an easier part of your initial business planning. To ensure that we remain the #1 option for you to consider for your yoga studio opening, we have 3 full time insurance brokers on board with us, dedicated to your growth and expansion. To keep up with your needs and wants, we have also added 5 new insurance carriers over the period of last 5 years. By insuring over 500 yoga studios, we have gained immense industry expertise and our staff has become highly expert and trained and hence, your yoga studio insurance needs are fully met and at a cost you can afford. We take extra steps to fully understand your vision and operations for your yoga studio, as well as help you understand your overall legal exposure. Our status as the premiere yoga studio insurance provider over the past 5 years has enabled us to come up with several, unique solutions in order to create the perfect yoga insurance policy for your business. Whether you are on tight budget or you are concerned about the coverages you need, our customer oriented yoga studio insurance services ensure you walk away with maximum benefits. Providing you coverage in case of any unfortunate event such as a small fire etc. Providing you with a business owners insurance program as well as exclusive professional liability. While opting for our yoga studio insurance policy, you can be rest assured that you are trusting the right agency for your yoga studio business. Our good results of the past 5 years are a proof that we have been providing value and not just a yoga studio insurance policy to our customers! More questions for us? Visit the Yoga FAQs page for more answers to questions asked by the Yogi community. Chris you have been more than clear regarding this policy for me as Yoga teacher. Thanks for guiding me through the questions on the Yoga application.